Breakfast just isn’t breakfast in our house without pancakes. My kids also happen to love chocolate, peanut butter and bananas, so I thought I’d create their ideal pancakes as a special treat! 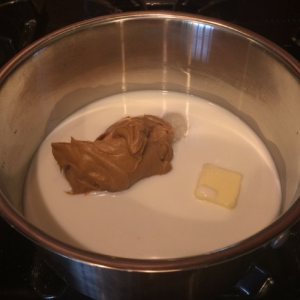 For the syrup: Stir milk, butter, sugar and peanut butter together in a saucepan over medium heat. 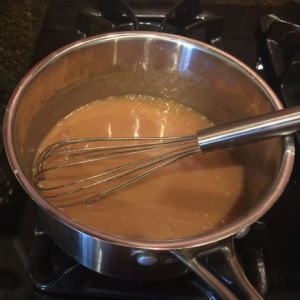 Bring to a boil while whisking constantly. Cook at a boil for 3 minutes, continuing to whisk constantly. 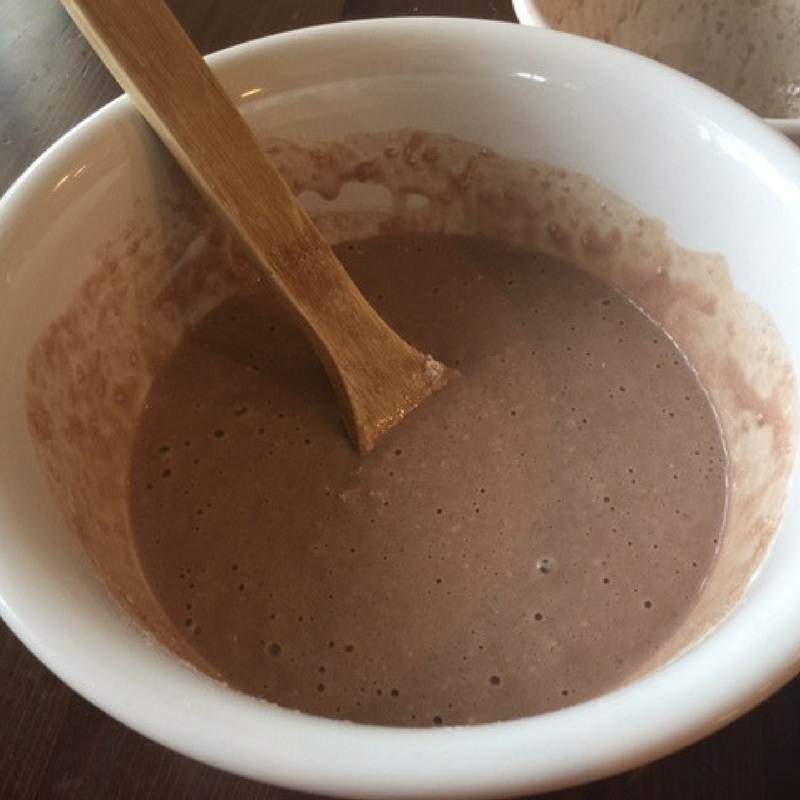 Remove from heat and stir in vanilla extract. 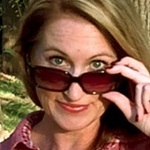 Set aside until pancakes are cooked. 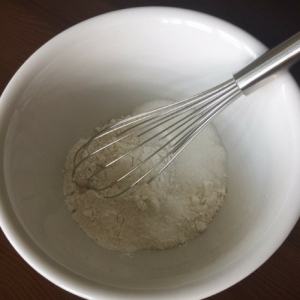 In a small bowl, whisk together the dry ingredients (flour, sugar, baking powder and baking soda). In a separate bowl, mix chocolate milk, vanilla and melted butter. 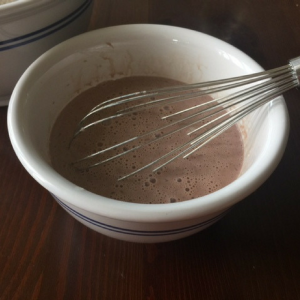 Slowly whisk the egg into the milk mixture. Heat a griddle to 350 F. Pour 1/3 cup of the batter to form pancakes. 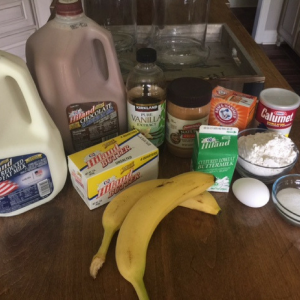 Immediately sprinkle with banana chunks. 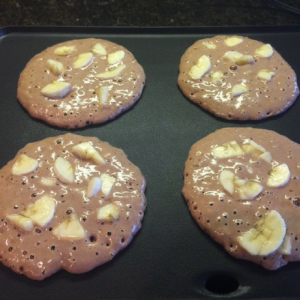 Once the pancakes are bubbly and edges are cooked, about 1 minute, flip them over and cook for an additional minute. Drizzle peanut butter syrup over top and enjoy! 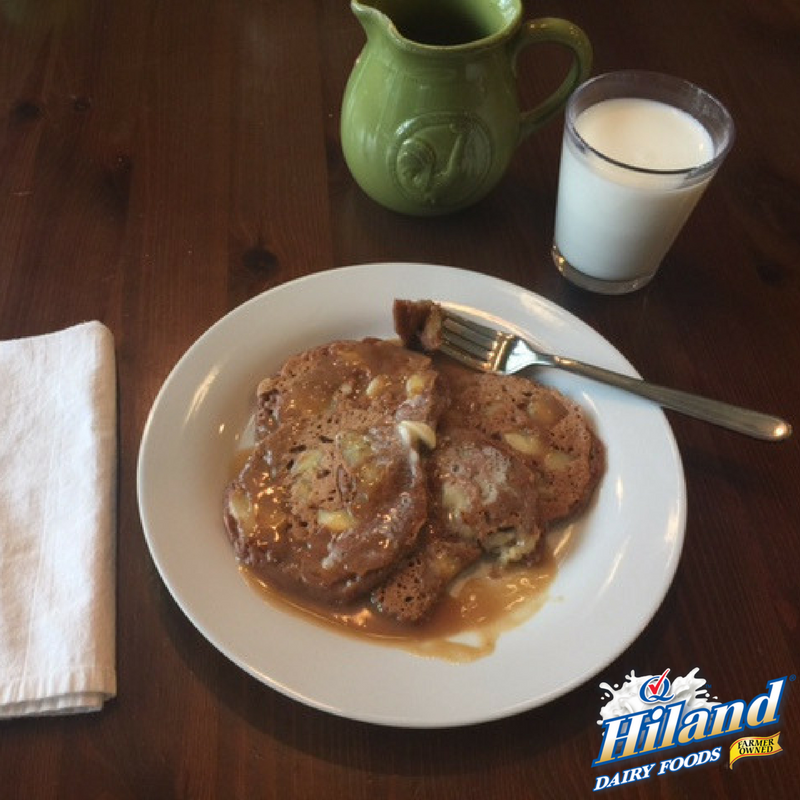 It’s important to use Hiland Dairy Unsalted Butter in the pancake batter because the chocolate milk already has the perfect amount of natural sodium. If you add more salt, these pancakes will be too salty.